On the anniversary of a child's baptism, give your growing children a card that will remind them of the special day when they were baptised into the Church. Illustrated by Craig Cameron, who created the Baptism Cube. Envelopes included. 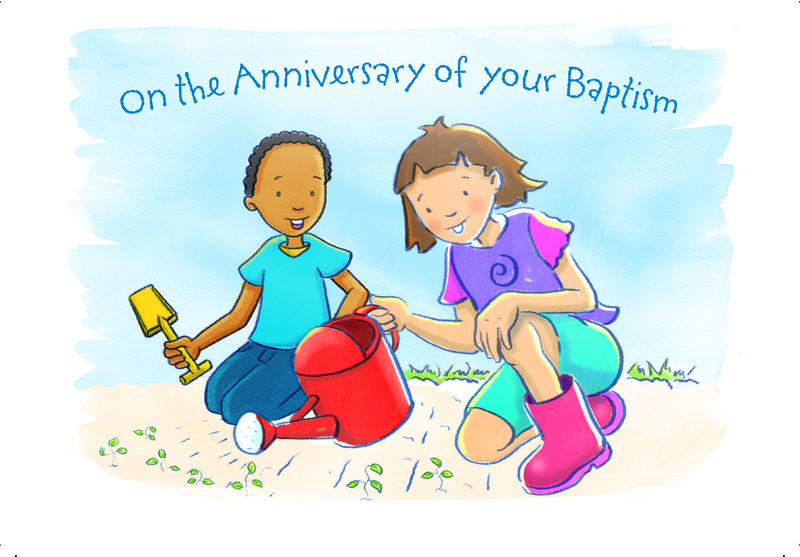 These beautifully-illustrated cards are designed to be given by the church to a young baptism candidate on the anniversary of their special day. Available as a pack of 10 cards with envelopes. Baptism Anniversary Card Children - Pack of 10 was published by Church House in January 2013 and is our 1557th best seller. The ISBN for Baptism Anniversary Card Children - Pack of 10 is 9780715122525. Be the first to review Baptism Anniversary Card Children - Pack of 10! Got a question? No problem! Just click here to ask us about Baptism Anniversary Card Children - Pack of 10.